Cuba Libre opened its first location in Old City, Philadelphia in 2000, giving guests a passport to Cuba's intriguing flavors and culture. The restaurant's name, which translates to "a free Cuba," signifies a hope for the future of the treasured island nation.The cuisines of different ethnicities have been gently simmered in the cultural cauldron of Cuba to create what is now the Criollo (home-style) cuisine of the island. Blending native ingredients and cooking traditions with those of South America, Spain, Africa, Asia and several others, Cuban cuisine is a savory mix that reflects its colorful culture. 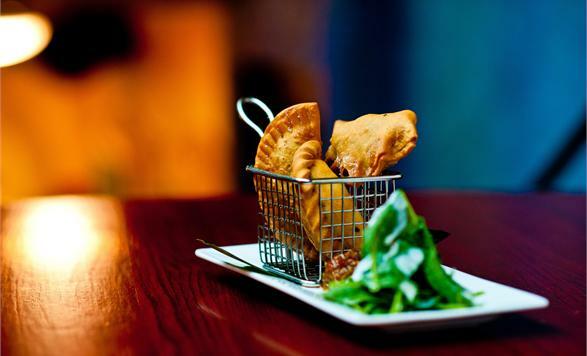 Located in historic Old City, Cuba Libre's vibrant atmosphere is filled with authentic Cuban flavor from the re-creation of a Havana street in 1940's Cuba, to the contemporary Cuban cuisine, to the Cuban art exhibited on the dining room walls.